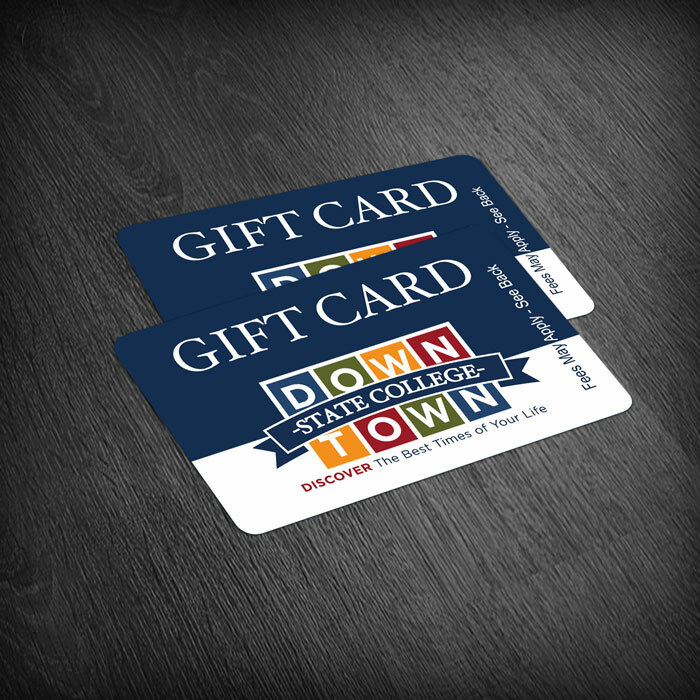 The Downtown Gift Card is the perfect gift for every occasion! Valid at over 100 downtown locations, the Downtown Gift Card gives the gift of choice. Order below or stop in at the Downtown Improvement District Office (127 S. Fraser St.) during regular business hours. Gift card orders that are placed online during weekends or after business hours will be fulfilled on the next business day and mailed via USPS. If you have questions or concerns about the fulfillment of your order, please contact our office at (814) 238-7004. PLEASE NOTE: Due to different gift card legislation, we are unable to sell gift cards to customers in Connecticut, Hawaii, New Jersey, New York, and Vermont. We apologize for any inconvenience.